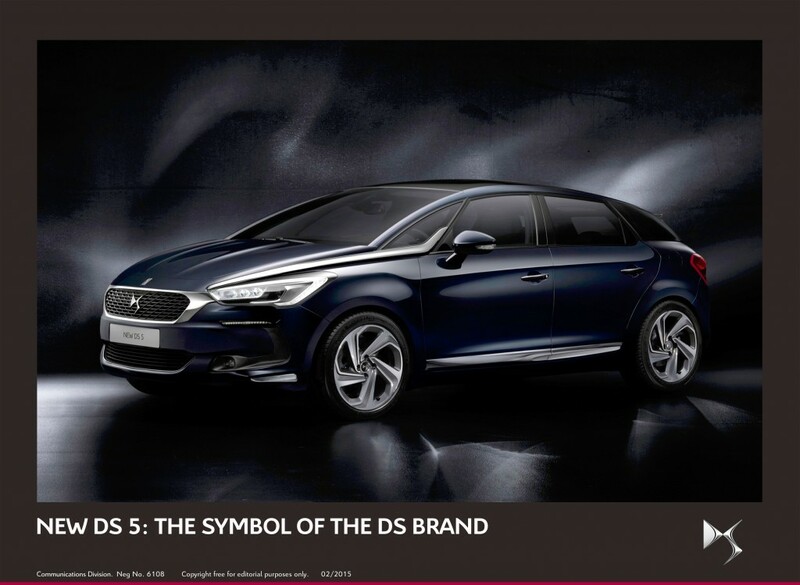 This impressive looking vehicle is the new Citroen DS5 flagship model which is carrying the firm’s new branding and appears 60 years after the famous original first appeared on our streets. The new model will make its debut at the Geneva motor show and has a range of styling enhancements; it has the improvements which have already been seen on the DS3 and DS3 Cabrio. There’s no doubt that the stylish new car is instantly recognisable and carries Citroen’s new monogramme or ‘DS Wings’ signature. It’s been designed to take on some very stiff competition in the premium end of the market and the cabin has been redesigned to enhance driving enjoyment. Designers say they have been inspired by the plane industry and the main controls are in two positions, firstly near the gear selector and also overhead. The buttons themselves have also been restyled. A new touchscreen facility gives easy access to all of the car’s functions from using the navigation and the console buttons – there are 12 fewer on this flagship model to help streamline the dashboard’s appearance. Like a number of other carmakers, Citroen is also including an automatic SOS and assistance system, which they call the DS Connect Box which will summon help when needed. The carmaker has also introduced a new smartphone app which will offer a range of services and vehicle-related information. Citroen also says that its DS customers will be given some very special offers via the app. As you would expect there’s lots of equipment on the Citroen DS5 including lots of safety features. In addition to blindspot monitoring, there’s also lane departure warning, hill start assist, headlights that turn into corners, electronic stability control and a reversing camera. Citroen also fitted the increasingly popular head-up display so that all of the car’s important information is displayed on the windscreen. There’s also intelligent traction control which help make up the 10 safety systems that have been installed. There’s an interesting hybrid 4×4 Citroen DS5 available which should return more than 80mpg on the combined cycle while having CO2 emissions of less than 100g/km. The latest BlueHDI diesel engines will also be available with the new Citroen DS5 with the best performer returning 74mpg with CO2 emissions of 100g/km. There are also some very good petrol engines available in the line-up including one that will return around 48 mpg. There are no indication of prices for the new Citroen DS5 as yet but it will be in our showrooms from July. This entry was posted in Car Leasing, Car Updates & Releases, Cars, Executive Cars, New Cars and tagged citroen, citroen ds5, ds-5 by Steve Lumley. Bookmark the permalink.